If you can't make it to Ocracoke, you can still participate. OPS staff post photos of the canvases on the OPS Facebook page. You can see the artwork there and even place your bid online! Keep checking back – the page is updated as the canvasses come in. 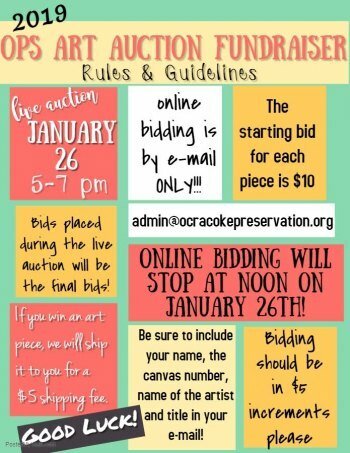 The silent auction is a fundraiser for Ocracoke Preservation Society, and features small works donated by local artists and Ocracoke fans far and wide. A festive evening reception is planned for event on Saturday, January 26th, from 5 – 7pm at the Museum. 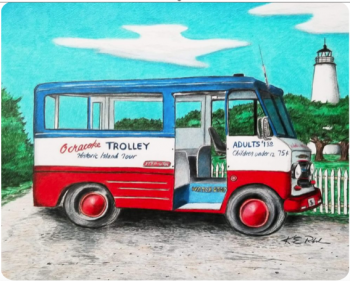 The artists are asked to show Ocracoke as they see it – the beach, the village, the people, or any small part that they choose. 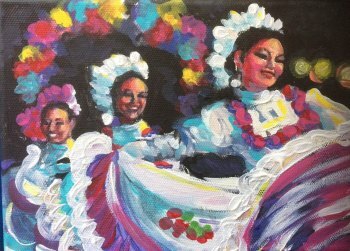 Participants can draw, paint, glue, sew, staple, or otherwise add artistic embellishments to the small ready-to-hang canvasses. The canvases are available at the museum or you can contact us and we will send one through the mail. You are also welcome to submit your own art for the auction.